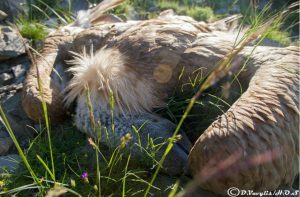 Wildlife poisoning is the single biggest threat to vultures in the Balkans today, and is the cause of the dramatic decline and regional extinction seen over the last 30 years. 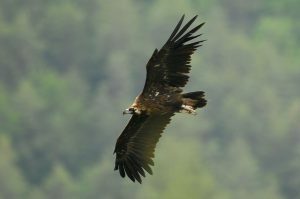 It is affecting the wild populations remaining in the Balkans and the conservation efforts to recover the populations across the whole of the region. Poisoning has been recognised as the single most important threat that vulture populations are facing worldwide within the Vulture Multi-species Action Plan (Vulture MsAP), a global plan for the conservation of 15 species of vultures, co-developed by the Vulture Conservation Foundation. Funded by the Mava Foundation the Balkan Anti-Poisoning Project is led by the Vulture Conservation Foundation and aims to secure real and continued engagement of the relevant national governmental authorities in the Balkan region against illegal wildlife poisoning and increase their capacity to counteract it and working together to take positive steps to protect vultures. The Balkan Anti-Poisoning Project is a partnership between us here at the Macedonian Ecological Society guided by the Vulture Conservation Foundation and the Albanian Ornithological Society-AOS, Protection and Preservation of Natural Environment in Albania-PPNEA, Ornithological Society “Naše ptice”,Association BIOM, Hellenic Ornithological Society-HOS. 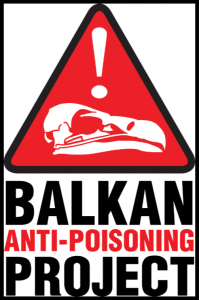 The Balkan Anti-Poisoning Project directly contributing into the implementation of the Vulture MsAP by implementing anti-poisoning actions in Albania, Bosnia and Herzegovina, Croatia, Greece and Macedonia and is building on the work of the Vulture Conservation Foundation implementing the Balkan Vulture Action Plan. 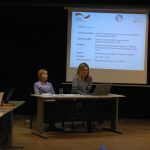 To achieve the aim of the Balkan Anti-Poisoning Project the project team will work with partners in each of the five Balkan states to establish national anti-poison working groups, comprised of representatives from relevant governmental institutions and conservation organisations. Each working group will be tasked with developing national anti-poison road maps which will set a baseline for future work combating wildlife poisoning. As well as developing of road maps the project will also launch a large scale awareness raising campaign to inform public audiences in the five states about the impacts of illegal poisoning on wildlife.